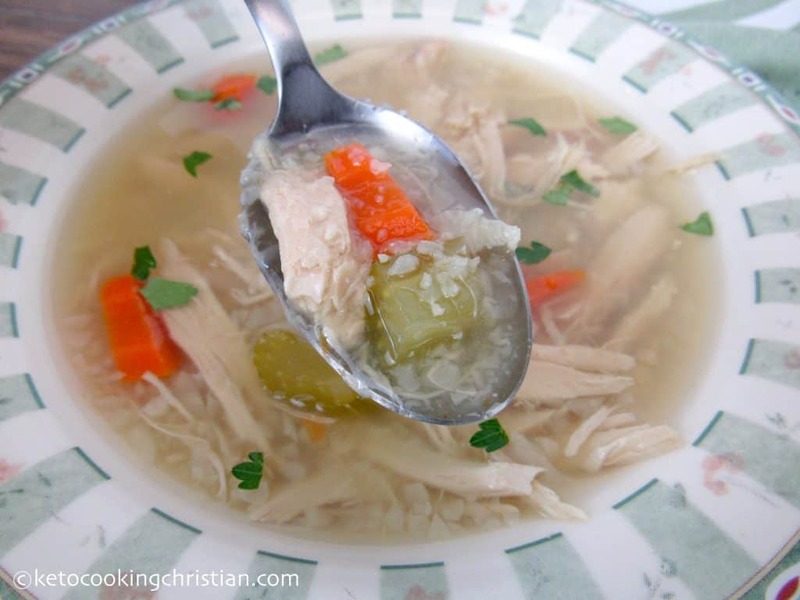 This is a great homemade soup to have on hand and you can even freeze it for later! 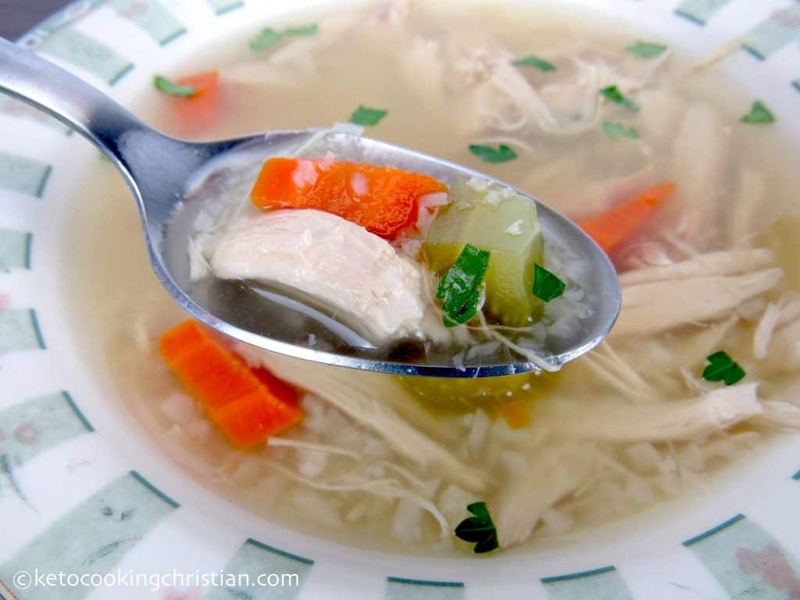 During the fall and winter months, I always try to have a fair amount of chicken soup in my freezer. 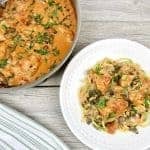 The soup is perfect for a week night that you don’t have much time to prepare dinner. But also, it’s great to have in case you catch a cold or flu. 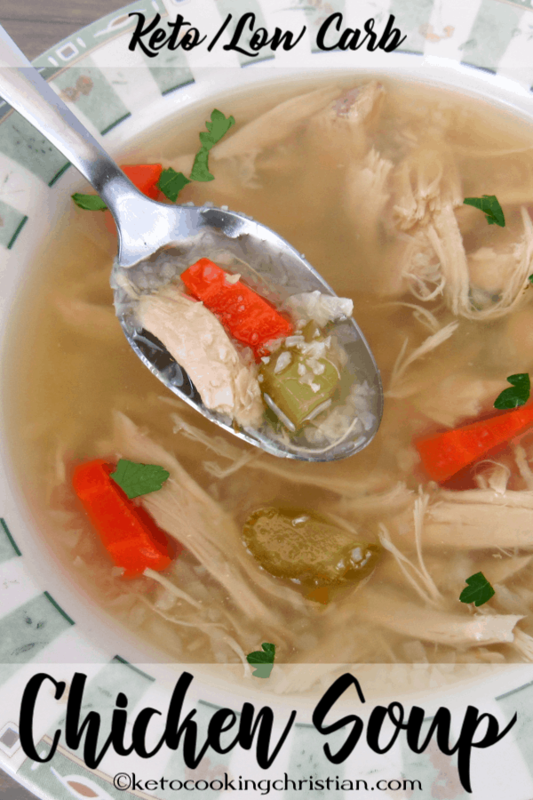 This soup is super easy to make, it uses my Homemade Chicken Stock that I make in my Instant Pot, you can get the recipe here. 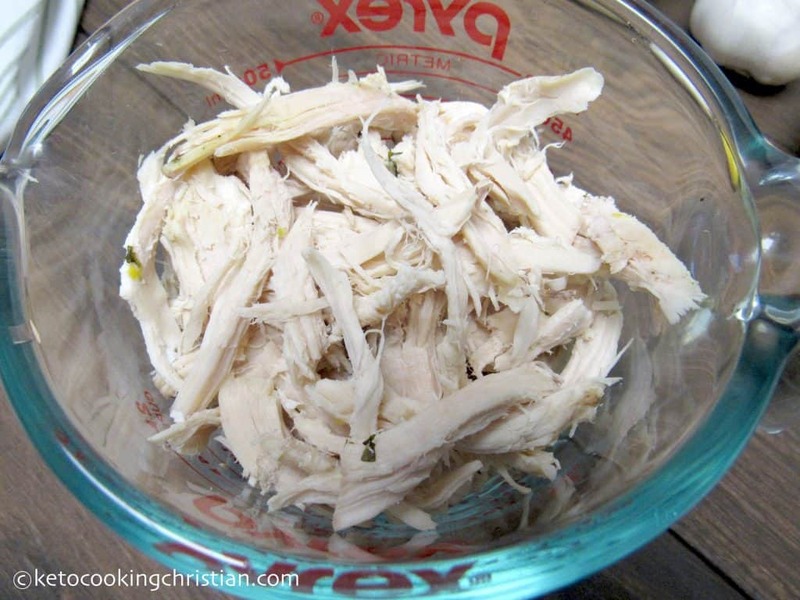 It also uses shredded chicken from my Easy Instant Pot “Roasted” Chicken. Add the chicken stock to a large pot over medium high heat and bring to a simmer. Add in the carrots and celery and continue simmering for 10 minutes. Add in the chicken and cauliflower rice and cook for another 8-10 minutes. 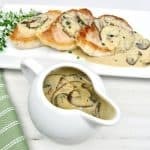 Serve with a garnish of fresh parsley. 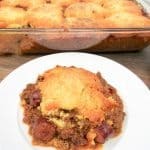 Note: The carrots are optional, so if you want to stay super low carb, you can certainly omit them. 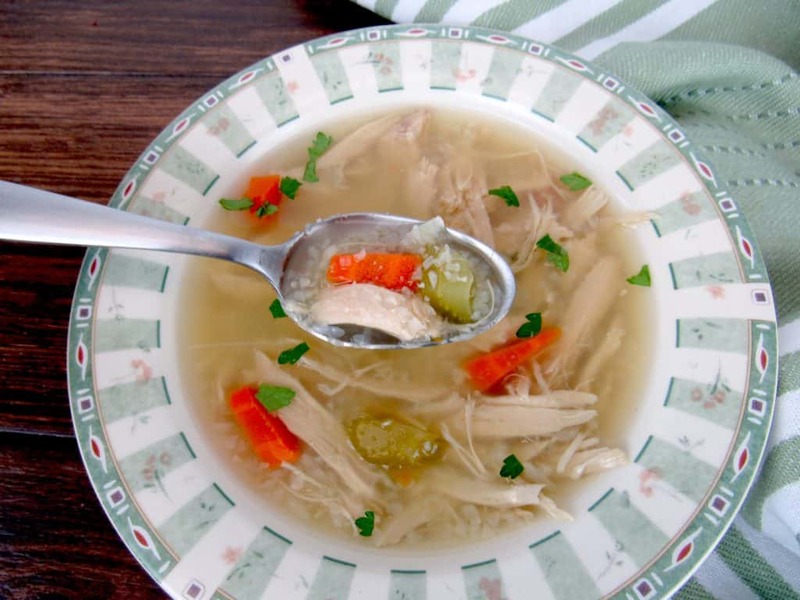 You can use my Homemade Chicken Stock as the base for this soup! 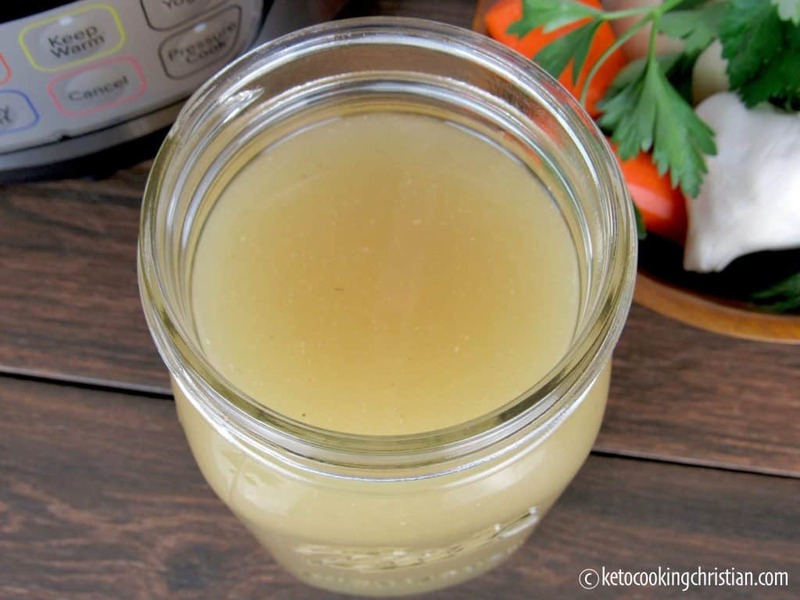 *Macros will vary greatly, depending on the chicken stock that you use. If you are concerned about nutritional information, please feel free to use an app like MyFitnessPal to calculate your macros, based on the chicken stock that you use. 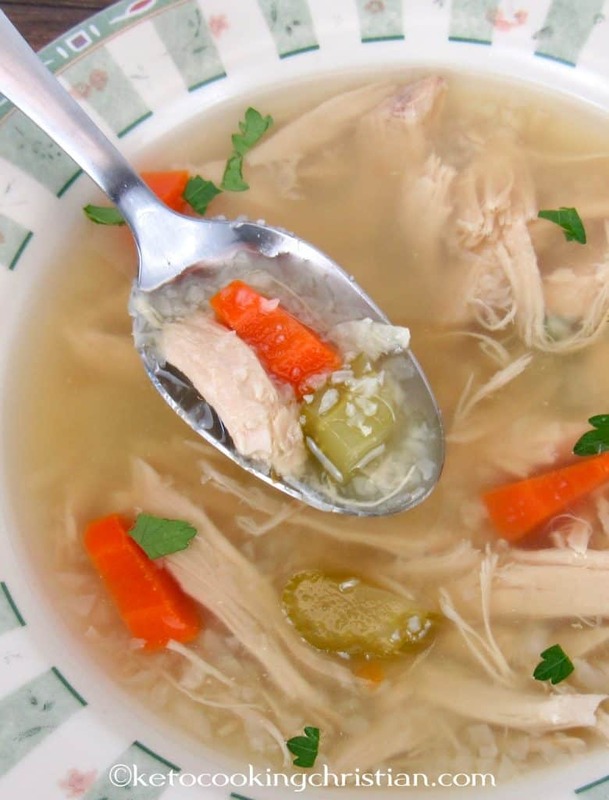 This is a great homemade soup to have on hand and you can even freeze it for later! 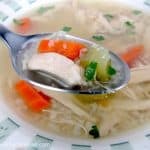 During the fall and winter months, I always try to have a fair amount of chicken soup in my freezer. 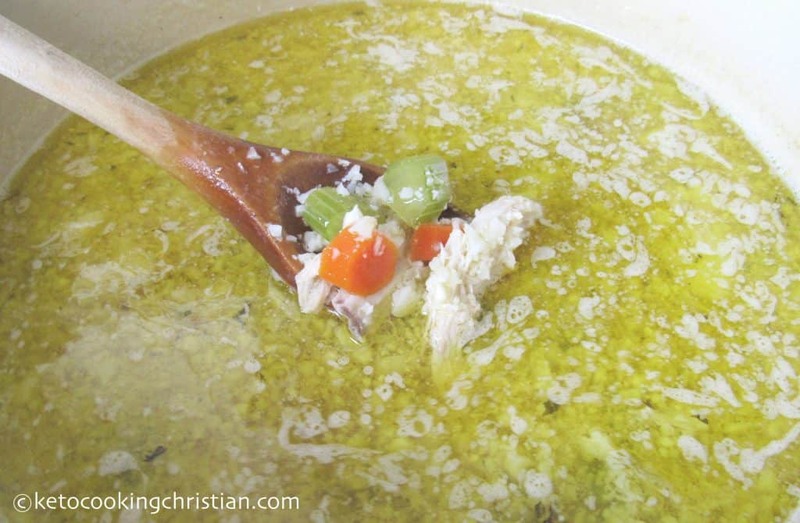 The soup is perfect for a week night that you don't have much time to prepare dinner. But also, it's great to have in case you catch a cold or flu. 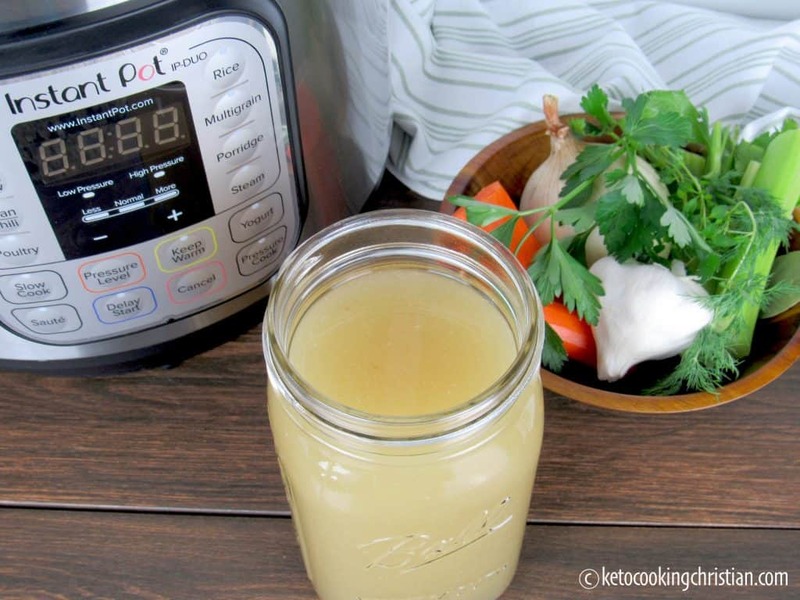 This soup is super easy to make, it uses my Homemade Chicken Stock that I make in my Instant Pot, you can get the recipe here. 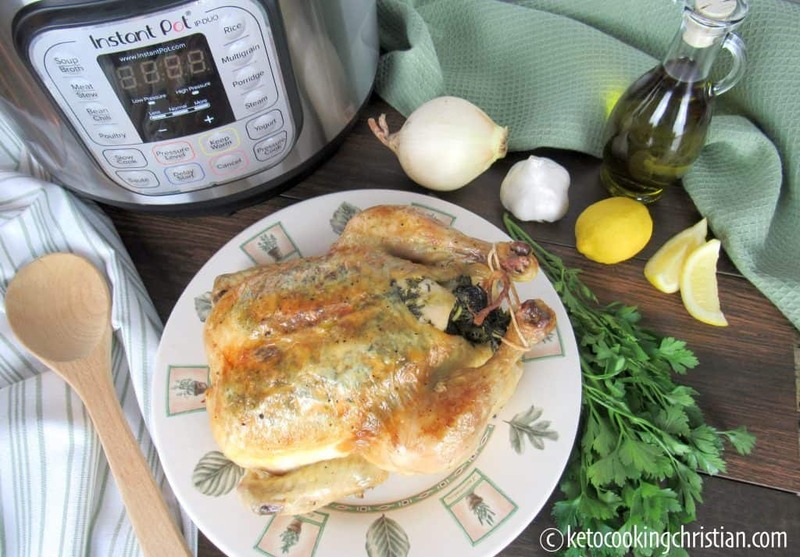 It also uses shredded chicken from my Easy Instant Pot “Roasted” Chicken. Add the chicken stock to a large pot over medium high heat and bring to a simmer. Add in the carrots and celery and continue simmering for 10 minutes. 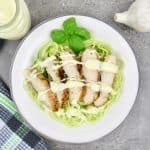 The carrots are optional, so if you want to stay super low carb, you can certainly omit them.